The video that I am including here is a wonderful reminder of the honesty and integrity with which Adrienne Rich lived her life … and with which she wrote. It is well worth the time you will spend watching it. It was posted today on “Democracy Now.” It includes Amy Goodman’s interview with Alice Walker and with Francis Goldin, and also a clip of Adrienne Rich reading her poem “What Kinds of Times are These.” I hope you will take the time now to join me in paying tribute to the memory of the incomparable Adrienne Rich. Adrienne Rich (1929-2012): Alice Walker & Frances Goldin on the Life of the Legendary Poet & Activist. This entry was posted in Art, Books, Education, Feminism, Making change, Politics, Reflections, Social Issues and tagged Adrienne Rich, Democracy Now. Bookmark the permalink. I’m amazed by Adrienne Rich because she uses the simplest words to convey the biggest messages. Thank you for sharing this and reminding me how much there is to love about her. I have read a lot of her books and poems, but not “Of Women Born.” I will now. 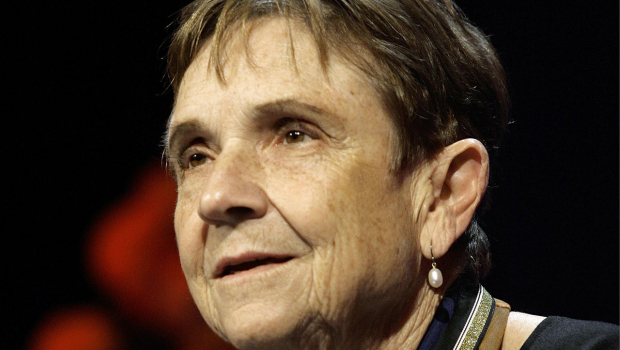 Thanks for joining in this time of reflecting on Adrienne Rich and the importance of her work! I had heard about the passing of Adrienne Rich yesterday on NPR. Amazing story and an amazing woman. It is very humbling to learn of leaders like her and Alice Walker, and as another nurse and I discussed today, some of the nursing scholars who are making such an incredible difference with their work. We were in the presence of some of them at ENRS this week. Yes indeed, we have so many wonderful women who provide such inspiration for all of us! Adrienne Rich’s death has reminded me of how important it is to focus on women like her who give us so much!